Castle Bleijenbeek, built in the 14th century, dates back to the time of the Duchy of Guelders. In 1945 the castle was bombed by the RAF. 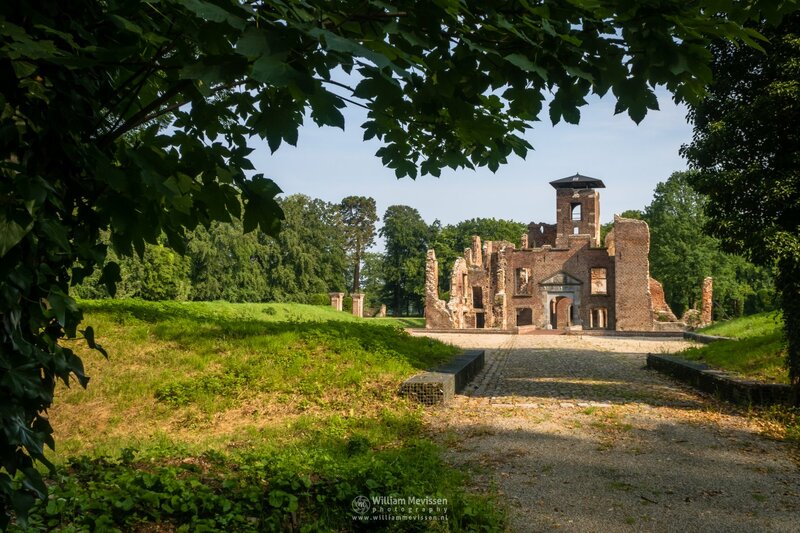 Since 2012, the ruin has been consolidated and partly restored by Stichting Kasteelru�ne Bleijenbeek. The castle ruin is located in the estate Bleijenbeek, National Park De Maasduinen, Afferden, Noord-Limburg, Netherlands. Click here for more information about photo 'Castle Ruin Bleijenbeek'.